This breed gets its name from Lake Cayuga, just west of New York, America. 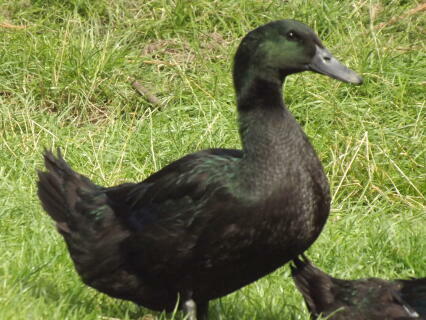 They were bred from the wild Black Duck and Rouen. They arrived in the UK when they were shown at the Great Exhibition at Crystal Palace in 1851. As this breed was developed in North America it is used to harsh conditions. 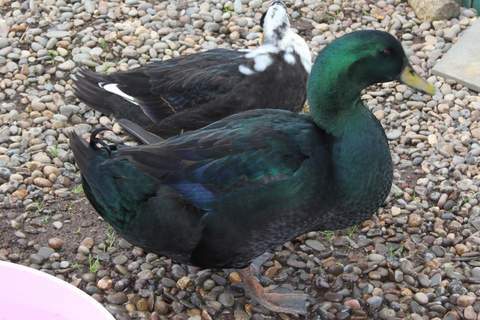 The Cayuga is a hardy breed and both the drake and the hen have good temperament and are quiet. 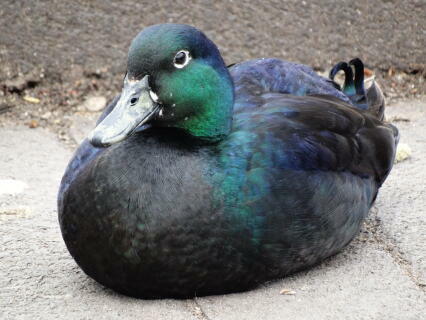 When they first start to lay, their eggs can be completely black and this is a good sign that the resulting duck with have a good colour. 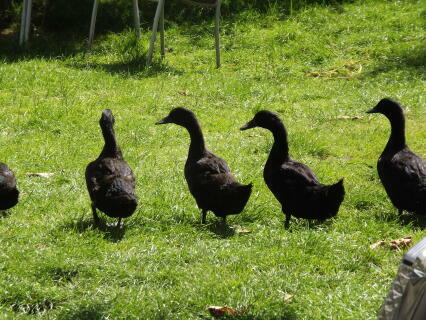 The ducks do not remain black for all their life and often produce white feathers as they get older, which tend to appear after each moult. 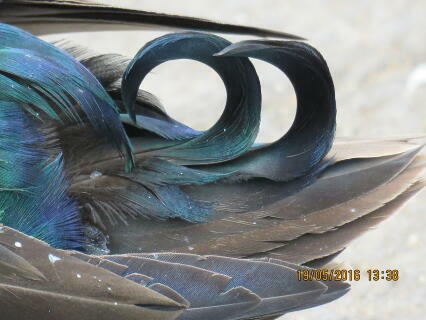 The standard variety is black with iridescent green feathers, although recently a solid Blue was developed in America. 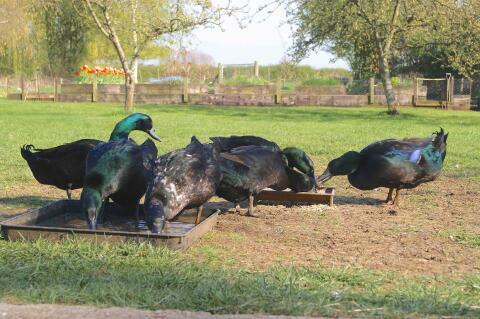 Beautiful ducks,I hand raised them but they are prone to wondering. They are also very loud. I have a Cayuga hen and she is the sweetest thing! I show her in 4-H and she is perfect doesn't try to escape or anything. 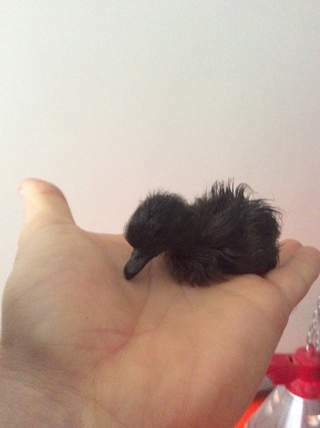 I have another duck a Khaki Campbell drake and she doesn't take any of his crap. If you want a duck I suggest a Cayuga. P.S. 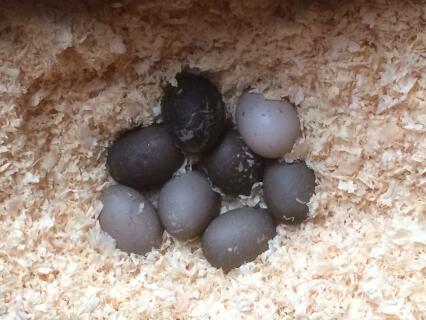 I have some little ducklings on the way. If you don't have a store that sells ducks I suggest to order the eggs or ducklings from Metzer Farms, they are amazing! I started keeping Cayuga's from April when I hatched some incubated eggs. 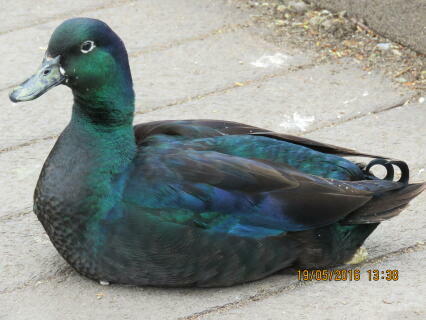 A really beautiful, sweet natured and friendly duck to own. 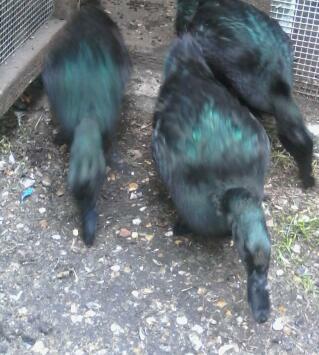 The black feathers have a beautiful irridescent green gloss and they look stunning! Mine I'm guessing won't lay until next springtime because they are only a few months old but I'm looking forward to hatching some of their eggs next year.